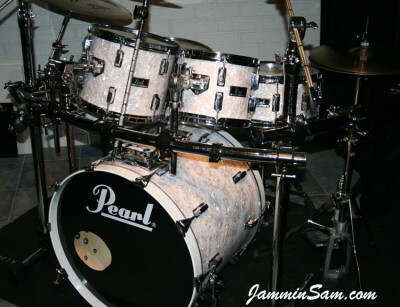 Pictures sent in (April 2009) by Jerry Pate from Belton, Texas of his Pearl drum set. Great work Jerry! Hey guys, I completed my project this morning, wrapping my kit in the vintage white pearl finish. I love it. 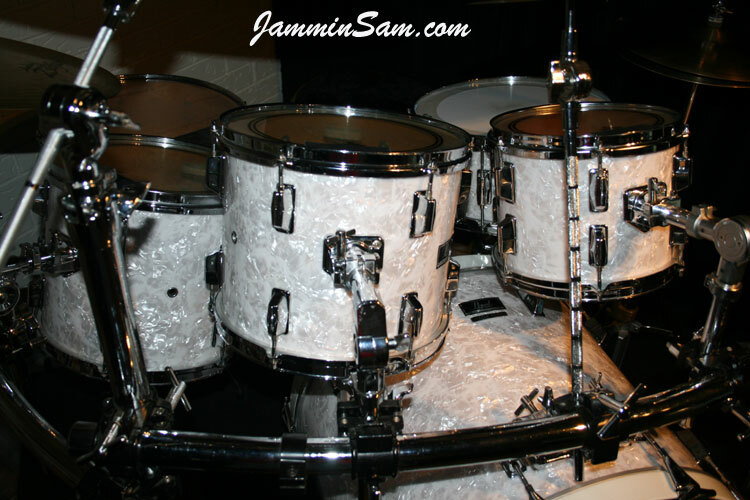 This kit was purchased back in 1984 at Tommy’s Drum Shop in Austin. 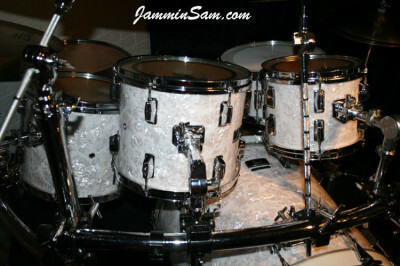 They had it stacked from the kick up to the smallest tom. When I walked into Tommy’s shop and saw it, I told myself, “That’s the one.” This is a pre-Pearl Master’s Maple, and it’s such a great kit. 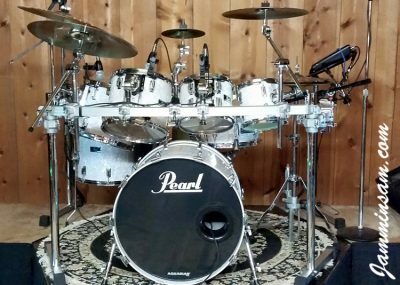 There’s not another kit in our area that sounds as good. Mind you, that was 25 years ago when it was purchased and I have had numerous compliments at every gig. 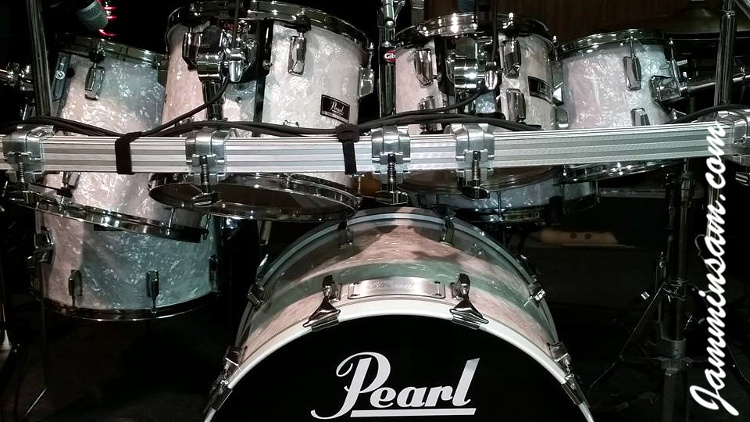 This set has never been abused and therefore treated with a lot of TLC. Vintage White Pearl drum wrap is sometimes referred to as marine pearl or just white pearl.